Azrael's Stop is an experimental fiction and music project, about life, death, and friendship. 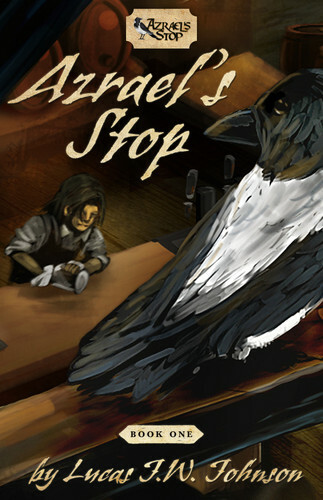 It is the story of a mystical tavern and how the people who go there develop over the course of a year: Ceph, the seventeen-year-old bartender who has seen all his loved ones die; Tom, the depressed old man, whom death will not take; Rye, who visits every day, though he died a year ago; Nael, the blind minstrel who saw war too young; Lona, the mysterious hunter of the dead; Trin, the girl who refuses to deal with her past; and the crow who watches over it all, cawing only when someone dies in Azrael's Stop. 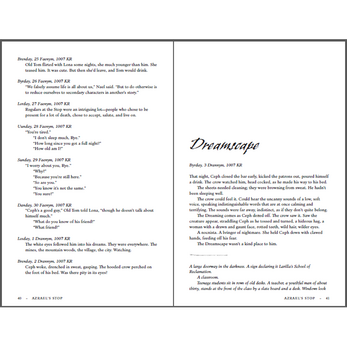 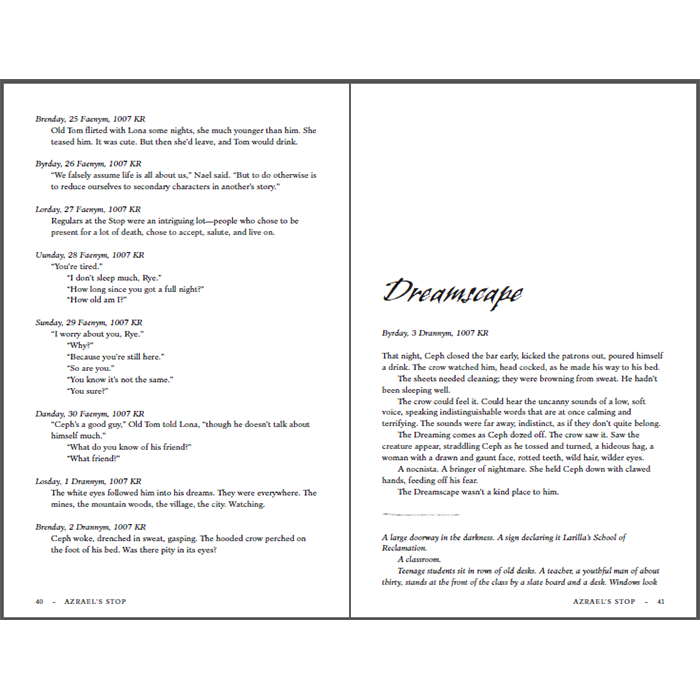 The ebook comes in .pdf, .epub, and .mobi formats. 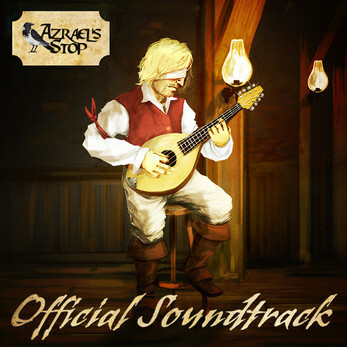 Purchase it for at least $9.99 and get the Azrael's Stop Official Soundtrack as well! Or, complete your experience with Tales of the Stop, the sequel anthology of ten brand-new stories about Azrael's Stop, by paying $13.99!